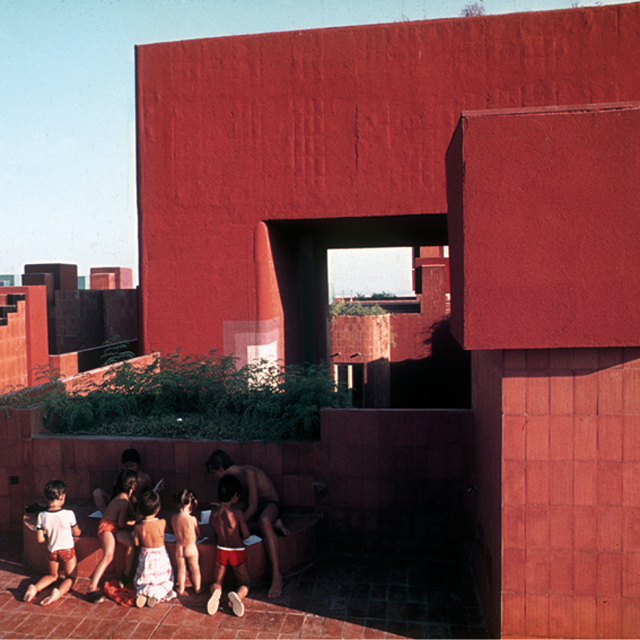 Program: 446 dwellings, public spaces, meeting rooms, games rooms, bars and shops on the ground floor, and two swimming pools on the flat roof. 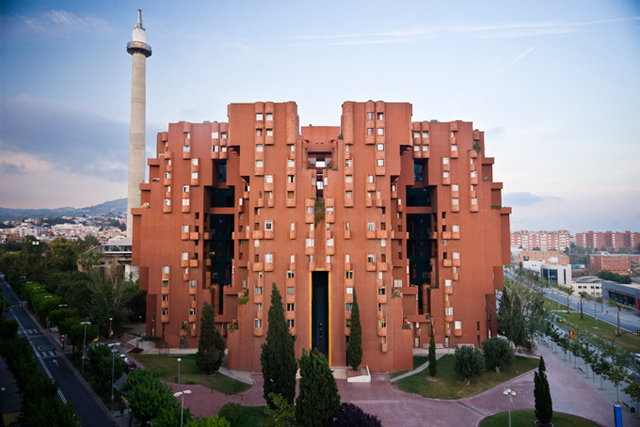 The project, built in 1974 by Ricardo Bofill Taller de Arquitectura, is located in Sant Just Desvern, a town west of Barcelona, in a plot formerly occupied by a cement factory. Designed as a series of buildings, only one was finally built. 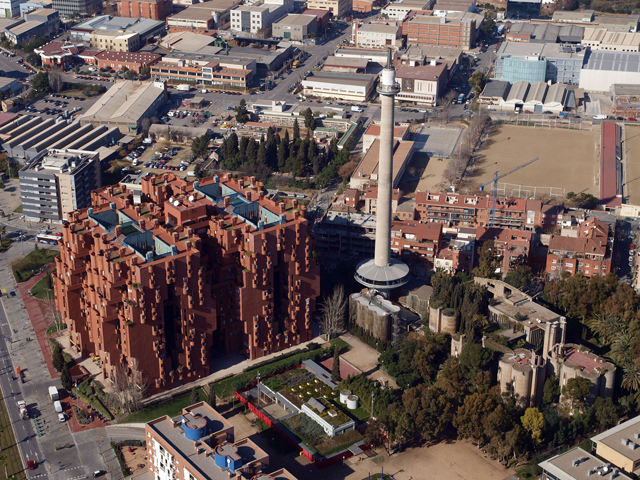 The building, called “City in Space”, is composed of 18 towers which are displaced from their base, forming a curve and coming into contact with the neighboring towers. 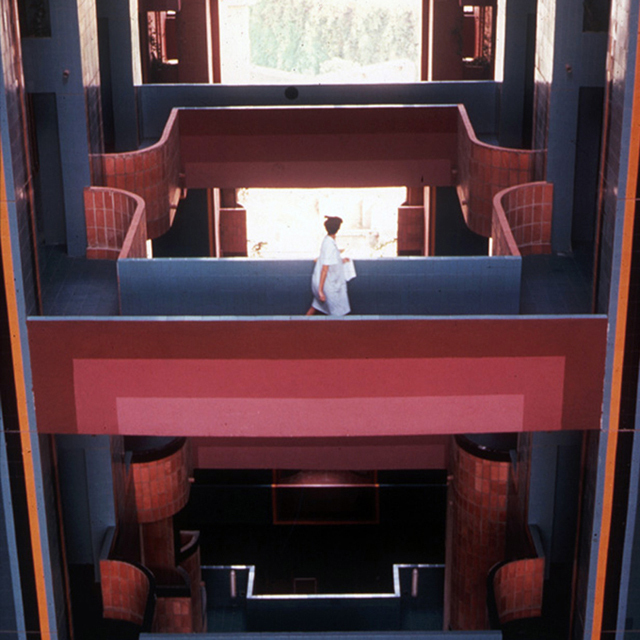 The result is a vertical labyrinth with seven interconnecting interior courtyards, as far removed as possible from the model of the uniform, repetitive housing block. The 31,140 m2 complex includes 446 dwellings, public spaces, meeting rooms, games rooms, bars and shops on the ground floor, and two swimming pools on the roof. 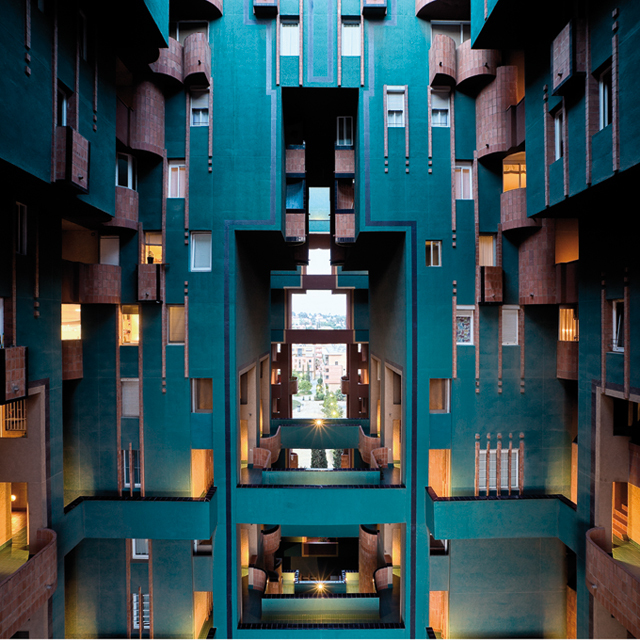 The dwellings are formed on the basis of one or more 30 m2 square modules creating, on different levels, dwellings that range from a studio consisting of a single module to a large, four-module apartment. 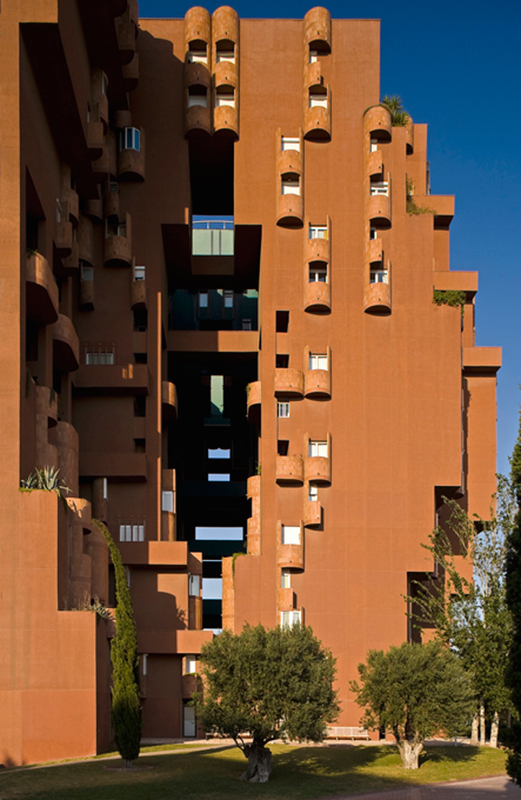 Ricardo Bofill Taller de Arquitectura accomplishes a collective and elaborate system for project design, establishing a technical collaboration in all countries where it undertakes projects. It is a practice composed of a structure which endeavours for the highest quality, capable of conceiving and carrying out projects anywhere in the world. With this aim the ‘Taller’ uses all of its means available: modern techniques, human resources, the professional expertise of each individual and the efficient organization of its structure.